£4,310 was raised by 123 supporters — that's teamwork! 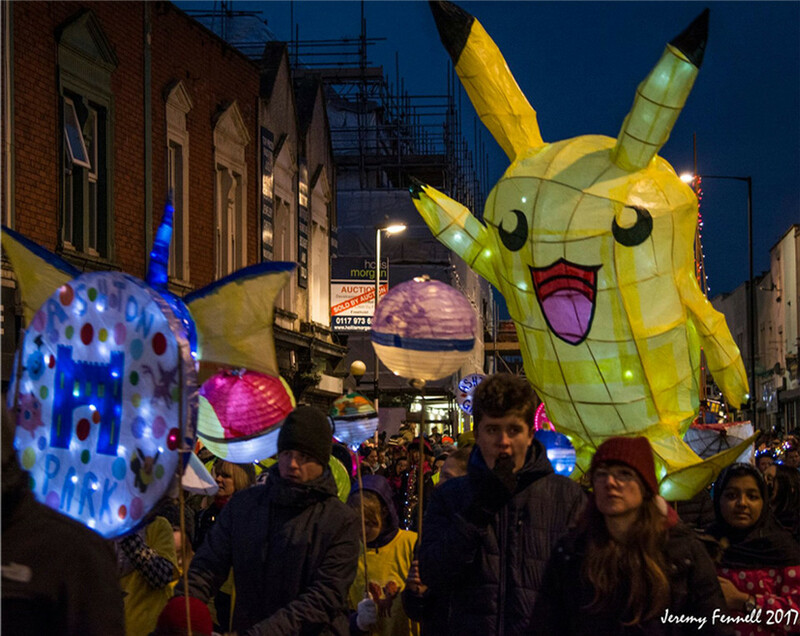 For the first time in its 7 year history the Bedminster Winter Lantern Parade is in doubt. Don't let the lights go out in 2018 - help us now. South Bristol’s largest community event needs your help. 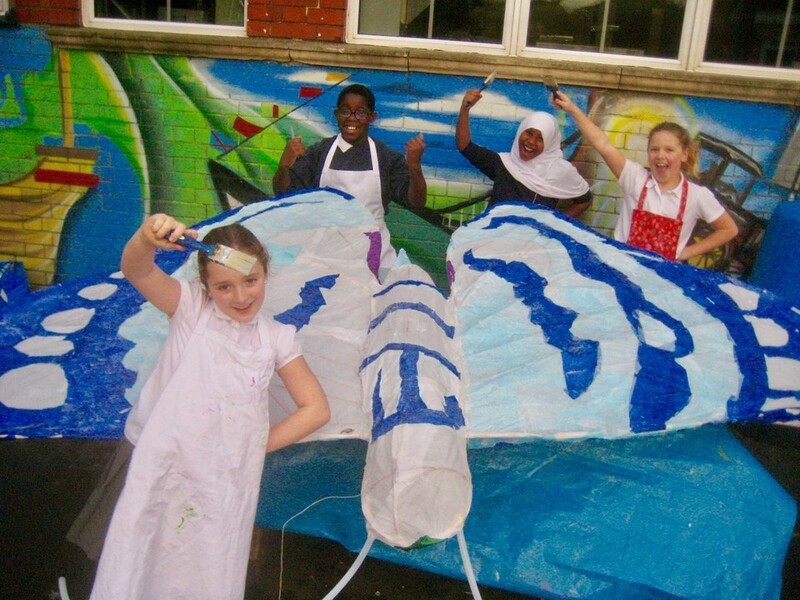 The three months of lantern-making workshops each year in local schools and community centres over the autumn, and the spectacular December Parade enjoyed by thousands are such a feature of our neighbourhood’s life that it just has to keep going. 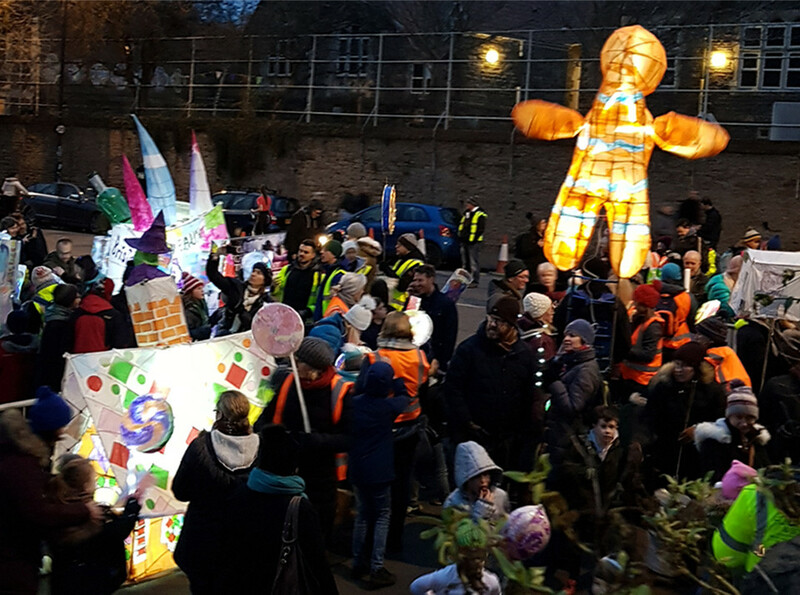 Each year a small group of BS3 residents raise the money needed to run the three-month project for local schools and community groups to build remarkable illuminated lanterns and put on the parade in December - a festival of light, music and community spirit of over 2,000 Paraders and even more spectators. Ok, so how much does that cost? You might be surprised at the costs involved for running a project like this. The team of volunteers on the committee do all their work for free, but each year we need to budget for the costs of placing artists into the schools for 3 months, materials to make the lanterns, musicians, road closures, traffic management, insurance to name but a few things. And each year, the costs go up. This year’s budget is £19,000. That’s a pretty big amount. How do you raise that? Up until now we have met our funding goals through a mix of grant applications and community fundraising. But this year much of the grant money just isn’t there – you may have seen a bit about funding difficulties in the local press. And now we face a rather large hole in our budget. We need to raise £3,800 by Sunday 15th July, so that we can be in a position to confirm that the lantern-making workshops can start in September. If we don’t make it, no Bedminster Winter Lantern Parade. But £3,800 is not an insurmountable sum. If you lovely people in the community help us out by donating some money, together we’ll totally be able to make this year’s Parade a reality. We've got a few Rewards, so take a look, but please help us with whatever amount you can. Don't let the lights go out - please donate today. Please share with your network and help us hit our target! Hey you, you're amazing, you know that? By picking this pledge, the #bemmylanterns team will tell everyone just how amazing you are for helping us keep the Parade going., by putting your name in a thank you on our website. Enjoying a Parade is thirsty work! Especially enjoying a Parade that you personally helped save. So in addition to public acknowledgement of your awesomeness, why not can enjoy a tea, coffee or cold drink at the end of the Parade while you are waiting for the fireworks? You've helped save it, now be part of it! Choose this reward and get a voucher to pick up one of the first 50 official 2018 Lantern Parade kit, with a brand new lantern design and free registration for 4 people to take part in the 2018 Bedminster Winter Lantern Parade. Good feels from a web thank you and a guaranteed place in the Parade - what more could you want? Local author, Paul J Newell has a treat (or 3) in store for you…. This rewards get you a signed bundle including his BS3-based novel Making a Mark and two of his other novels The Turning and Altered States. Have you ever fancied seeing your name up in lights? Now you can, by choosing this reward. 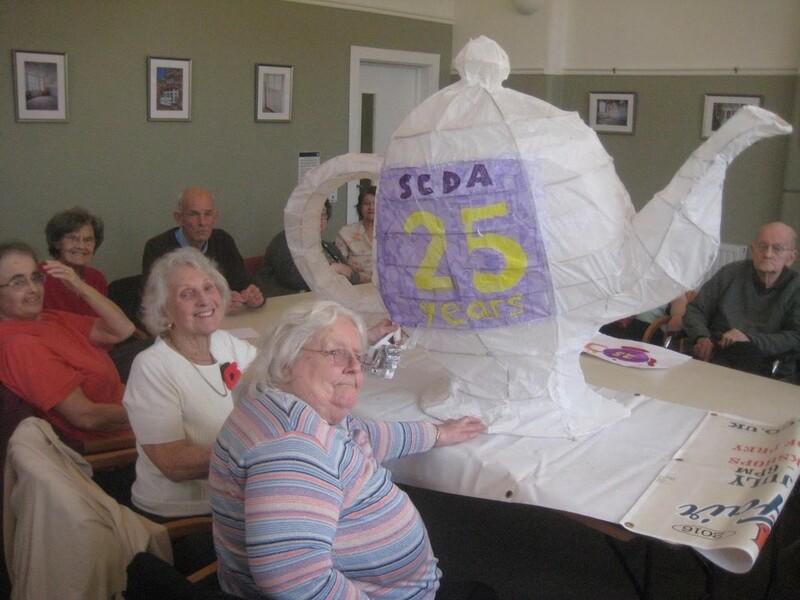 We're building a special lantern for the Parade and your name will be on it, as well as being applauded for being a saviour of the Lantern Parade on our website. You'll be a work of art! Have you ever wondered what goes on behind the microphone at Heart FM? Now's your chance to find out! The lovely folk at Heart FM would like to welcome a group of up to 4 people to visit their Bristol studio for the morning show. If you choose this reward, we will include your business's name as a Supporter in Lantern Parade press releases and social media activities. We'll link to your Facebook page, put your logo in our e-newsletter and on our website. Not only will this reward get you registration of a lantern for inclusion in the 2018 Parade, you'll get all the trappings of official Parade Sponsor - your name and logo on all materials sent to local schools and community groups and other marketing materials, and shoutouts via PR, our website. and social media. And permission to use the 2018 Lantern Parade logo and agreed images for promotion. This reward will fill you with fish, chips and the feeling of doing something lovely for the community. Incidentally, it will also make you super popular, as you select who to share your dinner with. One for meat fans! Rare Butchers of Soutville have donated a voucher for £25 to spend on the best quality, free-range, meat from farmers across the south west. Lidia & Stacey of the splendid Zero Green have kindly donated a £10 voucher to spend at their delightful zero waste shop on North Street. If you choose this reward, you'll be helping the Parade and helping the planet at the same time. Winner! care of the innovative floral designers at Les Fleurs. Seamlessly blending French and British style, Les Fleurs create flowers that are perfect for each and every occasion. Elle and her team at Bristol Pilates Studio have donated some pilates lessons for 5 kind donors. Whether you are a regular pilates-practicer or just fancy giving it a go, grab this reward and get on the mat!